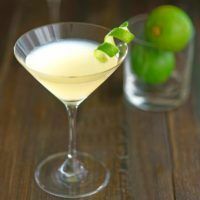 The Elderflower Martini takes your standard martini recipe and adds touches of St. Germain’s elderflower liqueur and lime. The citrus and herb notes of the traditional martini are rounded out by the full-bodied light sweetness of the elderflower. This is a drink to enjoy while relaxing, even if only for a few minutes. St. Germain is best when sipped slowly, so you can take in all the nuances. If you’re finding it hard to unwind, this drink can help. It’s hard to say what the dominant flavor is in this drink. The taste of the elderflower liqueur and the gin hit first, but then comes the lime juice. The Elderflower Martini has notes of flower from the elderflower liqueur and herbs from the gin, followed by the bright and tart lime. This drink is slightly more tart than sweet. That makes the sweetness delicious and enjoyable, but not overwhelming. The small amount of vermouth gets lost in the shuffle. As with the dry martini recipe, this one calls for you to swish the vermouth around in the glass at the very first step, and then throw it out. That way, it only adds a tiny amount to the actual drink. But it enhances all the other flavors – even just that tiny amount. It adds a tiny hint of bitterness, which rounds out all the other flavors. 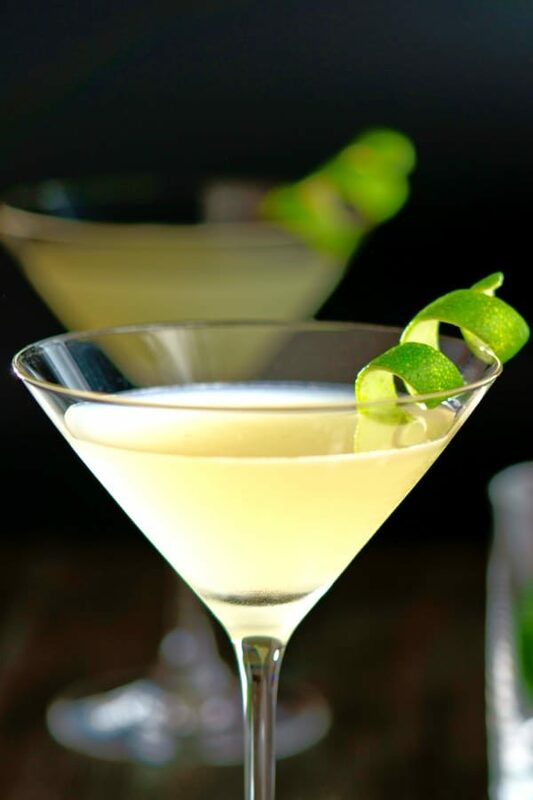 If you enjoy the Elderflower Martini, check out some other St. Germain cocktails! The March Rain blends St. Germain with tequila, Domaine de Canton Ginger Liqueur, Fernet Branca and more for a taste that’s kind of like sweetened coffee, but with a lot more going on. The Summer Heat also blends St. Germain with Canton Ginger, but adds Eppa SupraFruta White Sangria for a wonderful taste of wine and fruit. This is also a great cocktail to serve to guests. You can easily prep your glasses with vermouth in advance and make a big batch in a pitcher of the drink itself. Note that this recipe calls for stirring rather than shaking. Americans tend to prefer shaken martinis, probably because it’s what James Bond orders. But shaking bruises the spirits and loses a lot of flavor. So if you like less flavor in your martini drinks, go ahead and shake everything together in a cocktail shaker. You’ll find stirring brings out all the complexity, with all those delicious and fascinating notes. It’s like a symphony in your mouth. 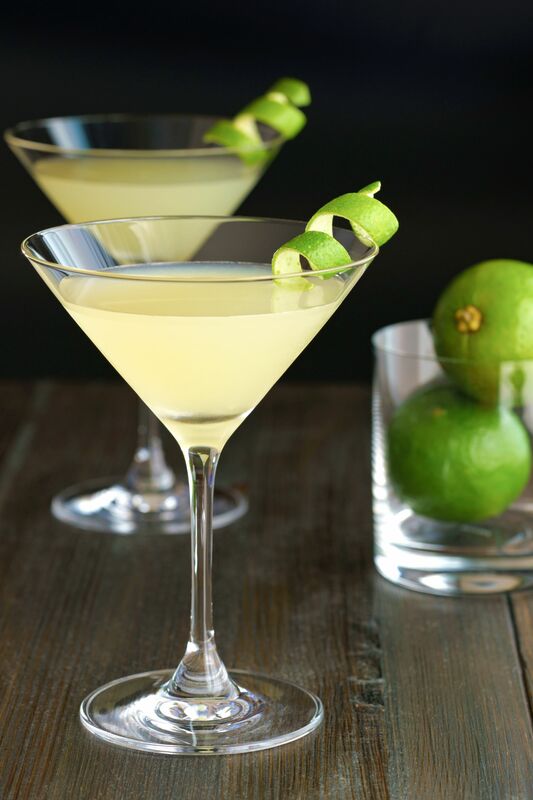 The Elderflower Martini takes your standard martini recipe and adds touches of St. Germain's elderflower liqueur and lime. The citrus and herb notes of the traditional martini are rounded out by the full-bodied light sweetness of the elderflower. Pour the half-ounce of dry vermouth into a martini glass. Swirl the vermouth around in the glass to get it up the sides. Fill a mixing glass halfway with ice cubes. Pour in all the other ingredients. Shake slowly until very cold. Strain the mixture into the vermouth-swirled glass. This drink was a hit and made my “refer to” list. A few of those makes my wife happy!